LONDON: Spiritual Leader of Hur Community and Chief of Pakistan Muslim League (Functional) Pir Mardan Shah-II, more commonly known as Pir Pagara, breathed his last at the age of 83 here on Tuesday, Geo News reported. Pir Pagara was taken to a hospital in London for treatment after suffering from an infection following his surgery in Karachi a few days ago. 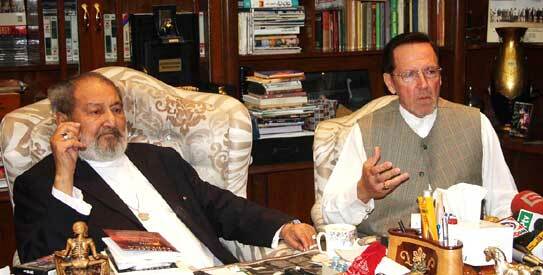 Born in Pir Jo Goth, Sindh in 1928, Pir Pagara spent a major part of his life being actively engaged in Pakistan's politics. Pir Pagara is a title given to the leader of Sunni Muslim Sufi order of Hurs in Sindh province of Pakistan. It comes from the Persian word Pir (Chief) and the Sindhi word 'Pagara' meaning:(Chieftain's Turban). The Last Pir Pagara was Hazrat Pir Syed Mardan Shah II who passed away on 10 Jan 2012. His father Hazrat Pir Syed Sibghatullah Shah II was hanged on 20 March 1943 by the British colonial government during his struggle against British Colonial Rule. After the defeat of Mohtarma Fatima Jinnah by Ayub Khan in Presidential run, Mohtarma declared the Muslim League as Functional and made Pir Pagaro the head of this Faction of Muslim League. He was the spiritual leader of Hurs and president of political party Muslim League (Functional). 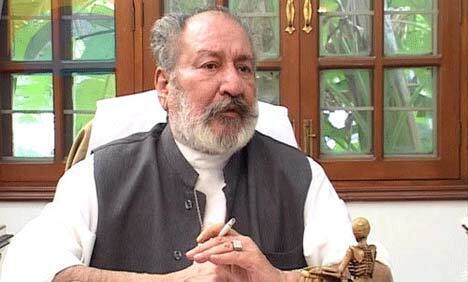 Pir Pagara breathed his last at the age of 83 on Tuesday 10th of January 2012.